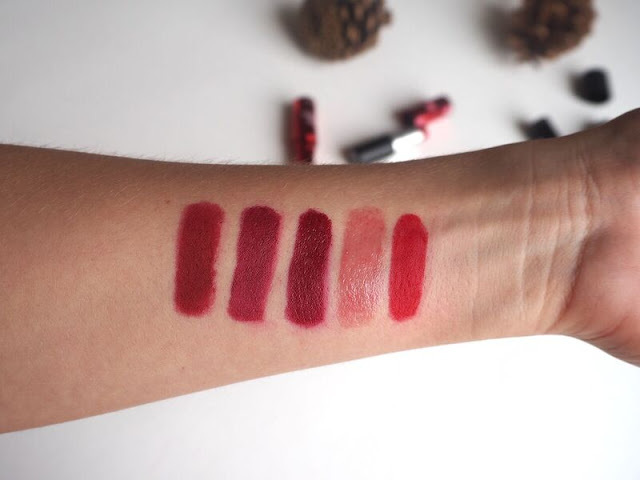 From left to right: NARS Cruella, Rimmel 107, Sleek Cherry, Benefit Benebalm, MAC Ruby Woo. If there's ever a good time to wear a red lip it's definitely around Christmas. There's just something so festive about red lipstick and it's probably the only time of the year I actually wear it. Let's be honest for a minute: wearing red lipstick is a commitment. Not only is it generally a fairly bold choice and can take some courage, it also requires some serious maintenance if you don't want it all over your chin/teeth/clothes. In light of that I've rounded up my favourite reds from my stash, including a range of shades and formulas, so hopefully there's something in here for everyone! 1. NARS Cruella Velvet Matte Lip Pencil - This colour is seriously gorgeous. Look at it! A sort of berry take on red with an absolutely amazing matte formula. If you've never tried the NARS Velvet Matte Lip Pencils before, here's the lowdown: they're essentially one of those sharpen-when-blunt type dealies, which means you can get a really precise line when applying them. The formula is, as mentioned, matte and the pigmentation and wear time on this is fab. If you're anything like me and seem to find yourself forgetting that you're wearing lipstick, only to find it smudged on your sandwich when you're eating lunch and have a little panic then this might just be the one for you! It hangs around for hours and the formula isn't too drying, what more could you want? 2. Rimmel 107 - Obviously this had to be included even though I feel like absolutely everyone already knows about this product. This might be a bit more of a plummy colour than a true red, but I still consider this one of my favourite red lipsticks. It's the ultimate berry lip shade and one that's continuously been cracked out this season. This is also a matte formulation and although I don't think the lasting power is quite on par with the NARS, it's miles cheaper and in my opinion, frankly fantastic bang for your buck! 3. Sleek True Colour Lipstick Cherry - How cute is the packaging of this? I'm not going to lie, the main reason why I initially gravitated towards these lipsticks was because of the dinky little bullet - adorable! Fortunately, my instincts were right and the product isn't half bad either! This is a bit more of a vampy red shade, and one I love wearing in the evenings with a simple eye. Unlike the others, this isn't a matte shade and has more of a satin finish - controversial for a red lipstick! I know that's a deal-breaker for a lot of people because it does mean it's more high maintenance, but I'd say that as long as you're not eating a meal when you're wearing this and keep it tucked away in your pocket if you go out-out, you'll be fine. And besides, the packaging! 4. Benefit Benebalm - Yes, I know, I've stuck a tinted lip balm in here! I wasn't lying when I said I'd be including all formulas! 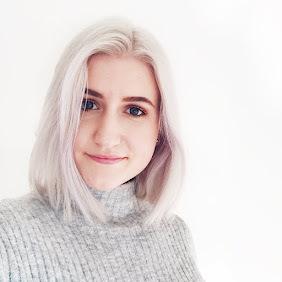 The reason why this is in here is because I know that some people aren't really comfortable with rocking a full-on red lipstick (it took me years to really pluck up the courage), but would still like to add a bit of colour to their lips. Enter Benebalm. Unlike the other balms from this line, this is really, really pigmented once it's on your lips (the swatch does not do it justice) and it definitely imparts a lovely red sheen without the hard work of a proper lipstick. Last year I went to a party in December in which I was kitted out in a full costume for which red lipstick was an integral part. Said lipstick was pretty drying, so this is what I used to spruce up the lipstick every few hours or so - worked a treat! 5. MAC Ruby Woo - Ah, the be all and end all of red lipsticks. This is a classic and when I picked this up last year, the man at the MAC counter told me they'd just got a huge order of these in because they sell like hotcakes during the festive season. Obviously that spurred my purchase on and I'm glad it did! This is one of MAC's Retro Matte formulas, which basically means that it's very, very matte. Because of that it is drying, I won't lie, but it does mean that this sticks around like nothing else. Remember that party I was just going on about? This was the lipstick I was wearing that night, and yes, I did need to add a bit of lip balm here and there, but after a few hours at that party I had three other girls in the bathroom with me all wanting to use Ruby Woo. It's a people pleaser. 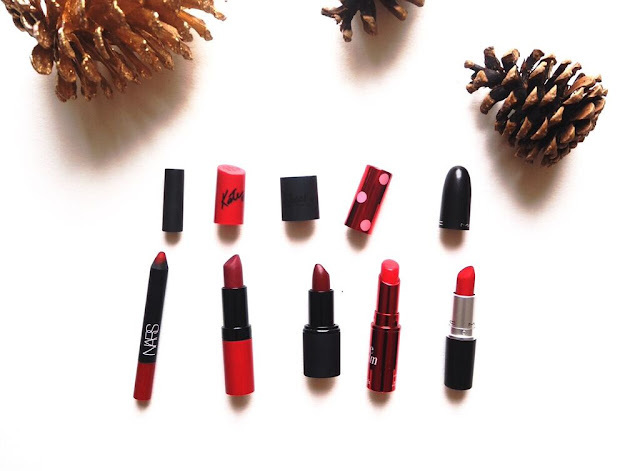 Hopefully this has given you some festive lipstick inspiration! Even if you're not the biggest lipstick wearer, there are definitely ways in which you can incorporate a bit of red into your lip-wardrobe this season. I tend to save these (bar the Benebalm) for nights out or fancy events that don't involve too much eating, because, you know - the sandwich story from before. 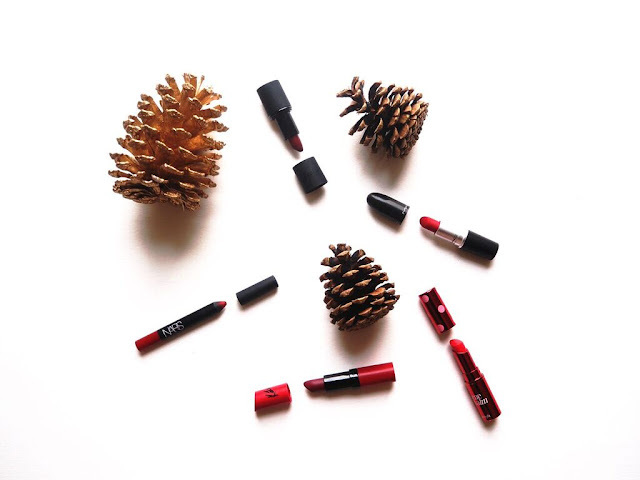 I hope you're all having an amazing run up to Christmas and do let me know what some of your red lip colour favourites are - you can't go wrong with a good red! NARS Cruella is on my list too, it's such a gorgeous shade! These are all stunning!! I love darker reds!